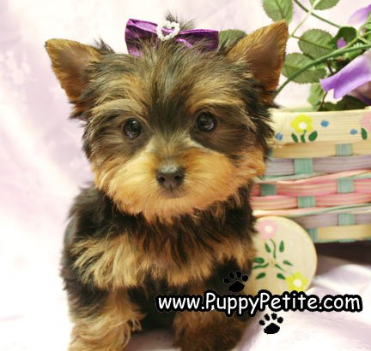 Puppy Petite Yorkie Puppies - Get Your Yorkshire Terrier Today! 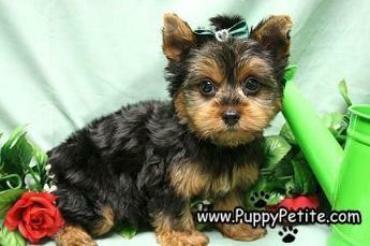 The Yorkie's coat is mostly seen long and silky with a steal bluish and tan color. Often the hair on top of the head is worn up with bows to keep it out of their eyes. It is non-shedding and good alternative for people with allergies. Terrier. It got this name from all this taking place in Yorkshire, England. United States. Since then is has remained one of the most desired breeds. Yorkshire seems unaware of his small size. They are devoted to their owners. smaller children. They are eager to play and get into any trouble they might find. 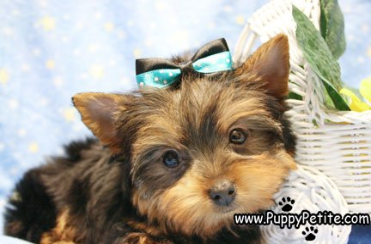 the Yorkshire is a spirited dog that definitely shows its inner personality. puppies to grow long hair and as it is groomed it becomes a silky, straighter hair. are kept. 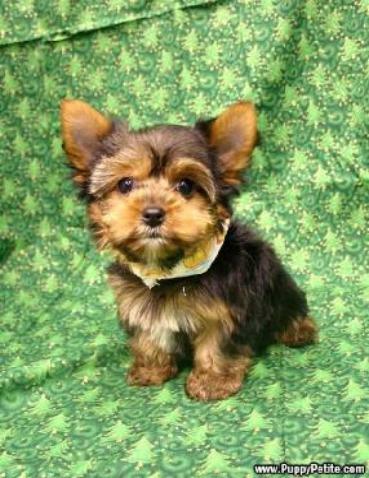 Companion Yorkies often wear their coats shorter for easier up keeping. enjoy any game that interacts with their owners. 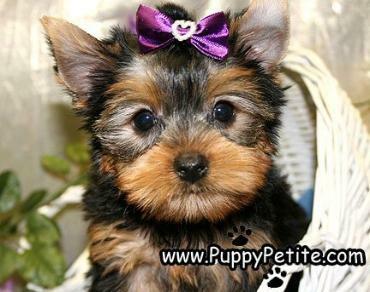 Yorkshire Terriers are very intelligent, but they can also be a little stubborn. Keeping the training happy and fun it a great way to get through to the Yorkies. also helps to have a good sense of humor because they will try to "outsmart" you. aggressive towards new dogs or environments. great idea to have them micro chipped for extra safety.